"If you can share experience, you can influence and If can you influence, you can change lives." 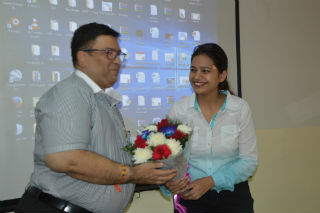 We all experienced the essence of above mentioned line in our last guest lecture, when we get an opportunity to attend the session and to listen a highly experienced professional in Marketing & sales Mr Vivek Nanda, Head Sales in Sharp Business System. In the session he clearly explained the difference between marketing and sales and resolved the problem and confusion from the minds of students to start a career in sale. 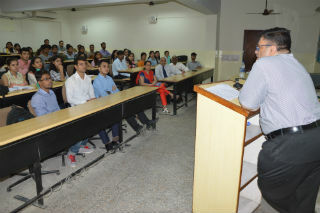 He shared about the skills required to work in sales and the difference between Corporate and Channel sales which will help students to choose the right path for their career progress. 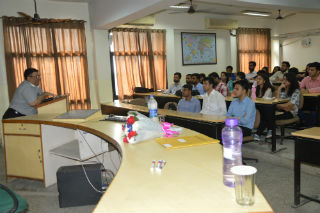 He helped students to understand the importance and value of career in sales and further growth in this department. He explained how a job in sales adds value in students personality and thinking understand the deep insights of market and consumer behaviour. 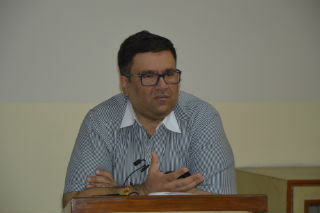 He also shared various failure stories of global brands as to how without the knowledge of consumer perception big organisations have suffered from heavy losses. This could be eliminated by proper market research from pre launch to launch of product. At the end of the session students asked some interesting questions and the session was very insightful and informative for students.